WASHINGTON, D.C. — Consumers Union, the advocacy division of Consumer Reports, today called on Senators to support the effort to restore net neutrality protections. The legislation to reverse the FCC’s repeal of its Open Internet Order, sponsored by Sen. Markey, is scheduled for a Wednesday vote. Consumers Union urged more lawmakers to join the growing bipartisan effort to reverse the FCC’s decision and restore the protections preserving the open and competitive nature of the internet for all consumers. Jonathan Schwantes, senior policy counsel for Consumers Union, said, “This vote is a watershed moment for the internet as we know it today. The FCC handed internet service providers the keys to the internet when it voted to eliminate net neutrality rules. If these critical protections are not restored, there is nothing standing in the way of internet providers playing favorites among websites and apps, giving preferential treatment to some sites while saddling others with slower speeds and, ultimately, costing consumers more. “Opponents of net neutrality — comprised mainly of the companies that stand ready to profit from its repeal — argue that the internet flourished without these rules and consumers shouldn’t worry about their internet access. But these are not hypothetical harms — only when it became clear that internet service providers were experimenting with ways to flaunt net neutrality principles did the FCC take the steps to explicitly ban these practices. If Congress doesn’t act to restore net neutrality rules, it’s not a matter of if these anti-consumer practices are implemented, but when,” Schwantes added. Since the FCC voted to repeal the net neutrality rules in December, consumers across the country have come out in support of net neutrality. Millions of consumers submitted comments to the FCC urging the Commission not to repeal the rules. Hundreds of thousands of consumers have sent messages to their Senators urging them to support net neutrality rules. And poll after poll has shown overwhelming support for net neutrality rules. 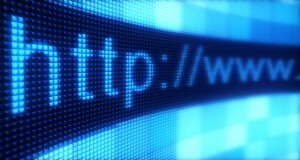 A recent nationally-representative survey by Consumer Reports says the majority of Americans support net neutrality rules to prevent internet service providers from blocking or discriminating against lawful content on the internet. The CR survey finds 57 percent of Americans support the current net neutrality rules, while 16 percent oppose them and 27 percent did not state an opinion. The survey shows strong opposition to practices by providers that would be prohibited by net neutrality rules, such as the 67 percent who disagree that providers should be able to choose which websites, apps or streaming services customers can access. Additional polls show strong bipartisan support for net neutrality rules. “The FCC chose to ignore the overwhelming majority of consumers who support net neutrality. But polls show that net neutrality isn’t a partisan issue — and it shouldn’t be in Congress. We hope lawmakers stand on the right side of history and vote yes to restore net neutrality protections,” said Schwantes.